Between its new Star Wars: Galaxy's Edge land, Pixar Pier and hotel renovations, there's no doubt that Disneyland has been busy building lately. But what's it all costing? 10. 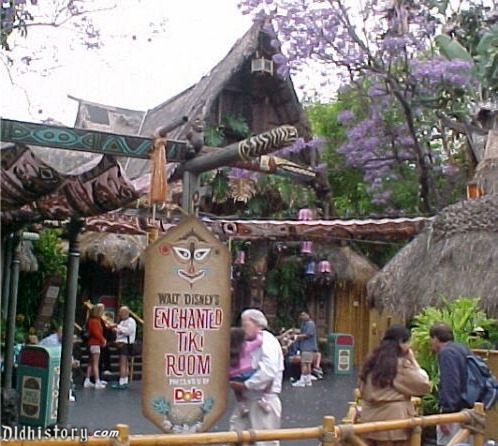 Enchanted Tiki Room Updates, $1,700,000 - The updates for Disneyland's 410-sq.-ft deck outside the park's Enchanted Tiki Room will create new dining space called the Tropical Hideaway. Construction will include a 150-sq.-ft. addition, guardrails and a bathroom remodel. The space should be ready for visitors by Sept. 2018. 9. Pixar Pier's Incredicoaster Show Spaces, $2,000,000 - Construction will include two new show-space scenes for the Incredicoaster. 8. DCA Pixar Pier's Lamplight Lounge, $2,500,000 - Once Ariel's Grotto bar and restaurant, this space will now be known as the Lamplight Lounge, named after the hopping lamp that appears at the start of every Pixar movie. Construction will include an additional 192 sq. ft. for a private dining area, a gazebo and a canopied outdoor dining room, as well as interior upgrades. 7. Disneyland Star Wars: Galaxy Edge Guest Sorting Area and Queue, $2,834,645 - this 953-sq.ft. steel-constructed guest sorting area and 817-sq.-ft. queue space will keep crowds organized at Disney's most anticipated attraction. 6. Naples Ristorante Expansion and Remodel in Downtown Disney, $3,984,000 - The 8,926-sq.-ft. restaurant will be getting a 1,781-sq.-ft. expansion among the first and second floors, making for a more spacious lobby, restaurant, kitchen and indoor dining experience. 5. Disneyland Star Wars: Galaxy Edge "Attraction #2" Prop, $4,400,000 - Although unclear just what exactly the prop might be, renderings suggest that crews will be building a set of full-scale AT-Ats, a Millennium Falcon or X-Wings. 4. DCA Pixar Pier Enhancements, $6.6 million - Some last-minute additions to the new Pixar Pier, formerly known as Paradise Pier, include 70 retaining walls, 40 light poles, a fountain, arches for the Incredibles Neighborhood, Toy Story Mania and Fun Wheel, and a "Jessie Figure Structure and pad." 3. Renovations to the Grand California Hotel, $22,908,477 - Details are sparse about what exactly the renovations will involve, but the hotel recently saw upgrades to its furniture, carpets, walls and lighting. 2. Disneyland Star Wars: Galaxy's Edge "Amusement Building," $55,746,094 - Rumors are flying that this permit for a 115,206-sq.-ft., two-story facility will eventually become the "Battle Escape" attraction, but there is no word for sure. Work will, however, include offices, a break room, a cast member bathroom, spaces for maintenance and equipment and "decorative rock works." 1. Disney's "Cleo" Parking Structure, $100,000,000 - This 2.3 million-sq.-ft. parking garage will span six stories, and will include 5.1 thousand sq. ft. of offices and restrooms, as well as a transportation terminal.